I have a question. Does anyone know if the screen can be rotated manually? I know it does not have an accelerometer for automatic rotation, but at allaboutsymbian.com and some other sites, i saw some of the menus being used in landscape mode. Yeah It can my friend. Just wondering.....does anyone know if it can do video calls with the front camera like the N82 & N81??? Both, read the smape review, the link is lower down. Hi.Anyone know is this has just A-GPS or like N95 or N82 has internal GPS Reciever? in gsm arena says both but some source says just A-GPS! I'm pretty sure the scrolling dpad is staying in. I heard on one of the youtube videos that they may decide to take out the scroll d-pad has that been finalized yet? Just watched the you-tube link. One can scroll the navigation button like an ipod. Wow! dude do u really need all that 32gigs.? bigga 'gig' gotta deal with bigga RAM n CPU. Which has a better Internet Browser the N78 or the iPhone? Also can they use MSN?? The best thing about this phone is that it has FM radio trasmitter buitin... once launched, we will throw all over call kits!!! Can this phone support MicroSDHC up to 32GB of memory? 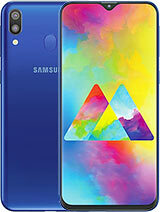 Hope we will find out after the release of this phone. Looking forward for this phone. but i really love dis new phone nokia n 78!! bcoz its not sosi or something..
No,it doesn't have an accelerometer.